Exquisitely decorated with works by renowned artists. 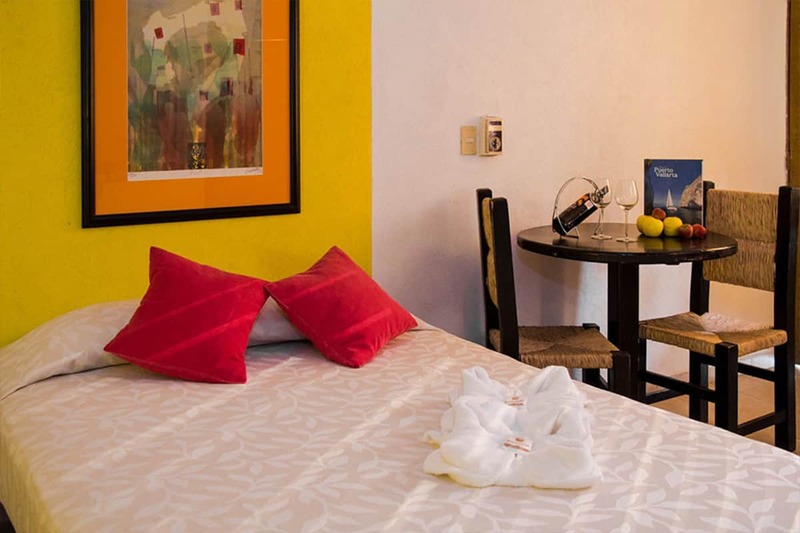 This room is ideal for families, friends, and for the long stay travelers. The Gallery Room offers a unique artistic experience, featuring two double beds, a small work desk, and an exterior balcony. The room is equipped with cable TV, in-room safe, Wi-Fi, ceiling fan, and optional air conditioning. 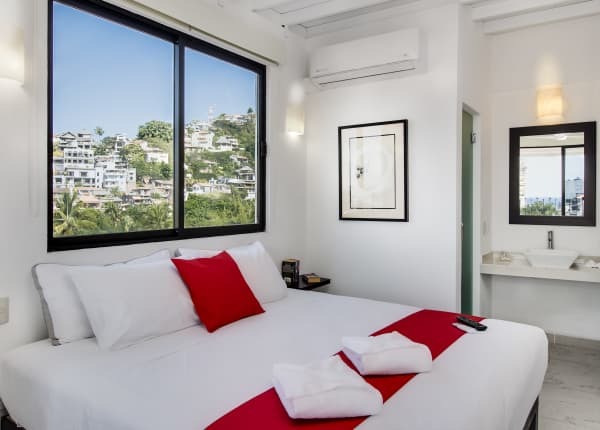 Rooms facing Aquiles Serdán street are quieter. 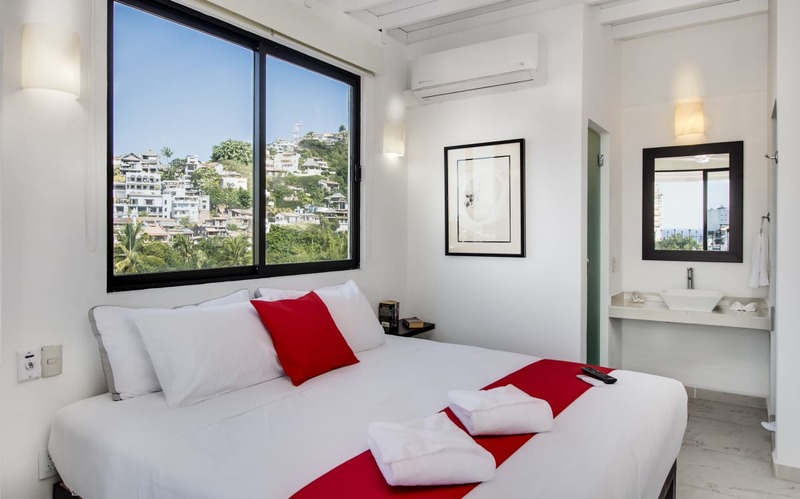 This bright small studio room, with a balcony offering city views, is decorated with a vibrant artistic touch. The room options include one double bed or two single beds, and features air conditioning, cable TV, in-room safe, Wi-Fi, ceiling fan. 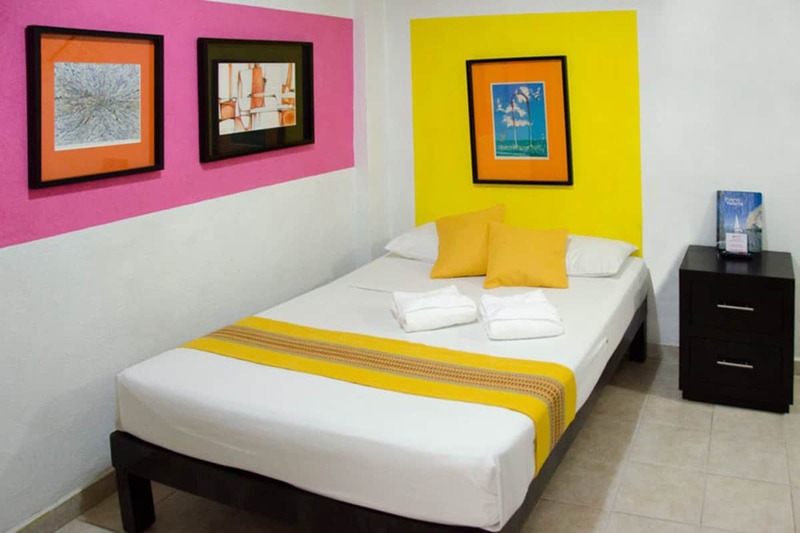 This is one of our smaller rooms, but ideal for the single traveler. 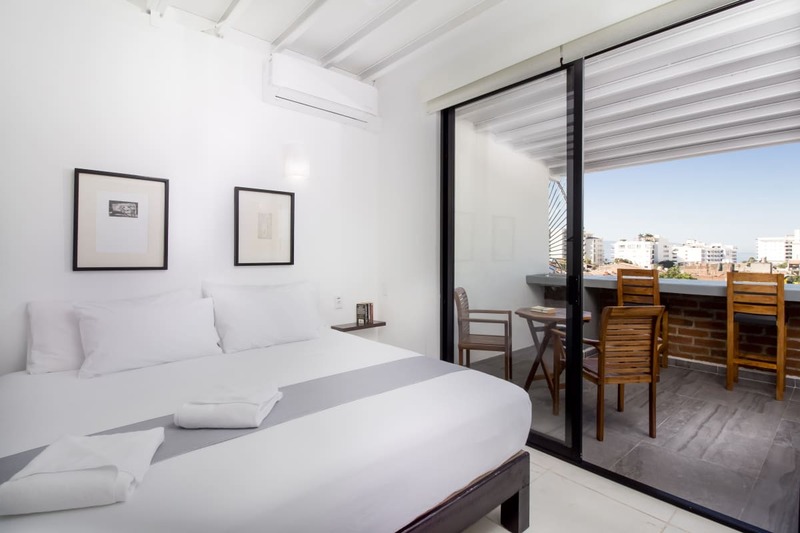 This double-bed room is located in the interior of the hotel allowing for a quieter experience away from street noise. 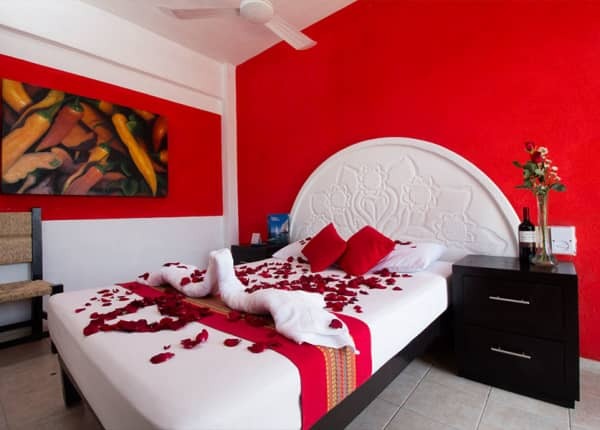 The room includes cable TV, in-room safe, Wi-Fi, and ceiling fan. No air conditioning option. 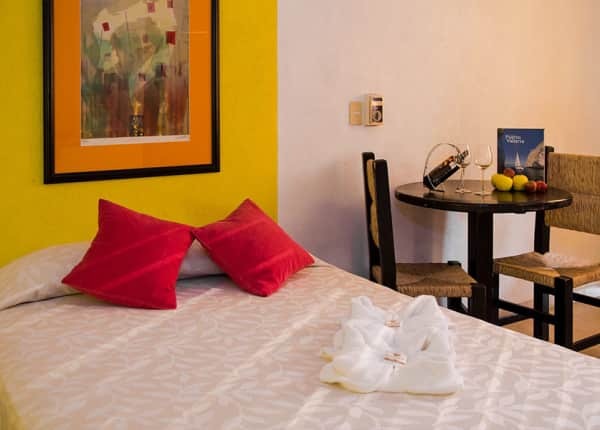 Our Superior Room, the largest accommodation at the Belmar Hotel, is ideally suited for the long stay traveler. 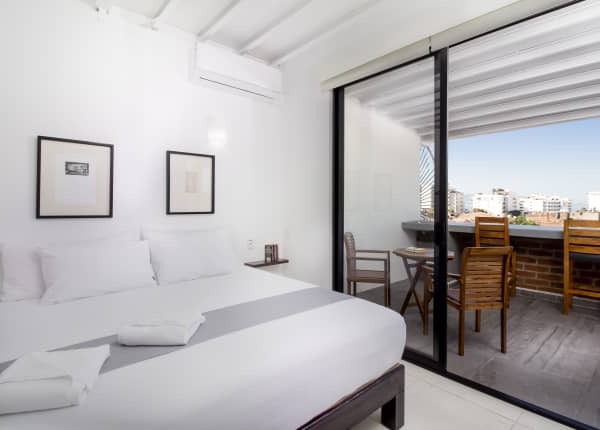 The room features two double beds, a work desk, a full kitchenette, dining table, cable TV, in-room safe, Wi-Fi, ceiling fan, optional air conditioning, and an exterior balcony with city views. Take a look at the promotions we have for you.